I am an actor when I portray SANTA. I am totally consumed by the role I portray. I give my very best to become the character through the eyes of all those who see me as the jolly ole man himself. These Santa Claus Rules should be followed by every person who wears a Santa Suit or Santa Costume. The image of Santa Claus is influenced by each person who portrays Santa Claus at Christmas. 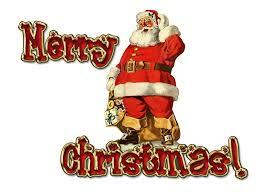 Please respect the history and importance of Santa Claus so that each and every child has a positive experience. Santa Claus never uses drugs. Santa Claus should never smoke, chew tobacco, consume alcohol or use any other type of drug before an appearance. Santa Claus always has good hygiene. Santa Claus should bathe the day of an appearance to prevent noticeable body odor and should ensure that his breath is fresh either by brushing his teeth or simply using a breath mint before his appearance. Santa Claus should trim visible nose hairs. Santa Claus always wears a clean, well-fitting Santa Suit. If your Santa Suit has a stain or smells of bodily odor, you must clean your Santa Suit before making an appearance. If food spilled on your suit, simply spot wash the area of the stain with a color safe detergent but be careful the damp red fabric does not run onto the white fur on your Santa Suit. For body odor, consider damp wiping the inside of the jacket around the armpits or wear disposable under arm sweat protectors. Santa Claus never makes an appearance in a poorly fitting Santa Suit. If your Santa Suit is so loose that you are swimming in the fabric or so tight that you look like you’re on the way to the disco, the children will notice. Find a friend or a tailor to make the necessary alterations. Always finish off your Santa Suit with a pair of white gloves. Santa Claus always has a courteous demeanor. Santa Claus has a merry, fun-loving soul and should present himself in this manner. He is never angry, upset or unpleasant with the children or the parents. Santa Claus is punctual. Santa Claus should always be on-time for his appearances. Tardiness reflects poorly upon the image of Santa Claus. Santa Claus is careful with children. A child should never straddle Santa Claus’s knee for risk of falling. Never reach for a baby for risk of dropping, ask the parents to place their baby on your lap. Santa Claus never has inappropriate behavior. Santa Claus should keep his or her hands in plain view at all times. A reasonable place for Santa Claus to place his hands is one hand on the child’s shoulder and the other hand on Santa Claus’s knee. Always ensure that a child is accompanied by a parent or guardian. Santa Claus should never promise a specific gift. Children often ask for gifts that their parents may not be able to provide. Never promise a child that he or she will receive a particular gift. Santa Claus never accepts tips. Santa Claus should be compensated solely from the appearance fee. Accepting gratuities from parents in the presence of children undermines children’s belief in Santa Claus. Santa Claus should continue “the message”. This Santa will always portray JESUS as “The Reason for the Season” and will always “Keep Christ in Christmas”.